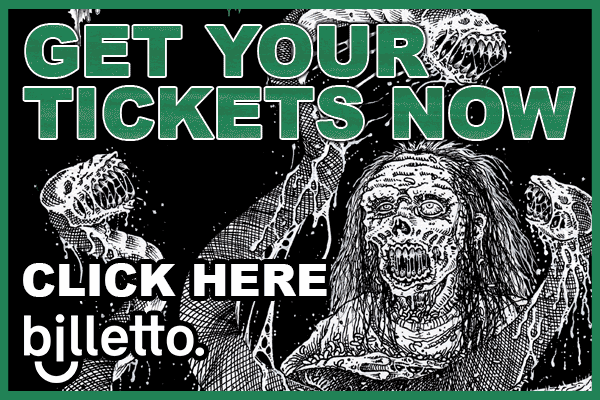 Killtown Death Fest » Announcement #27: SEMPTERNAL DUSK (us) for the first time ever in Europe! Announcement #27: SEMPTERNAL DUSK (us) for the first time ever in Europe! Tonight we have another “first time in Europe band” coming your way… This time we are bringing you a band that will crush your last day at KTDF on the “Gloomy Sunday”. The band we are about to announce are as heavy, downtuned and primitive as it gets and features members of prominent bands such as of Weregoat, Aldebaran, Mournful Congregation, Anhedonist and Nighfell. We are very excited to present to you, all the way from Portland, Oregon, the mighty SEMPTERNAL DUSK!!! Formed in 2011 by JH and TC after the demise of thier previous band, The Warwolves. ‘Demo MMXII’ was recorded as a two-piece and released in 2012, catching the attention of Dark Descent Records. In 2013 AW and TG joined on guitar and bass to flesh out the line-up for live performances and to begin writing a full length. Debuting this lineup at the Dark Descent Records showcase in Portland the same year. 2014 saw the release of the self-titled full length via Dark Descent Records followed by a string of live performances up and down the West Coast with Larvae. In 2015 guitarist AW left and was replaced by VB formerly of Anhedonist. The band then began working on new material for a string of splits and eps to be released the next year as well as playing Covenant Fest II in Vancouver B.C., a string of dates with Spectral Voice and Blood Incantation and the ‘Darkness over the West’ tour supporting Mgla and Weregoat. In 2017 split releases with Encoffination and Bloody Master manifested the first recordings of the current line-up. Sempiternal Dusk is currently headed into Autopsy Room studios in February to record their second full length to be released on Dark Descent Records in late 2018. 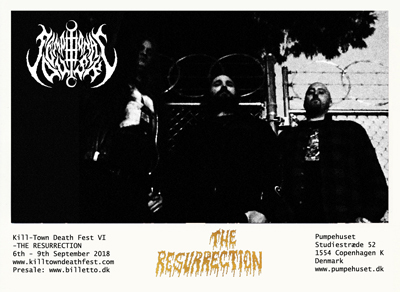 They have shared the stage with a number of ungodly bands over the last few years including Incantation, Asphyx, Demilich, Mgla, Funebrarum, Hooded Menace and Revenge.